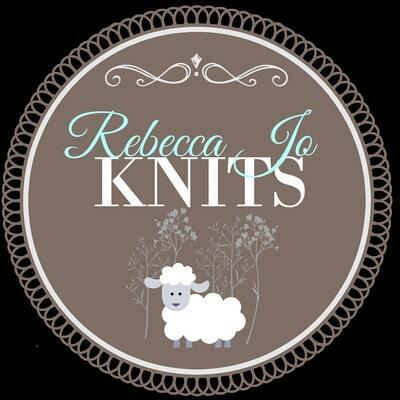 Knit By God's Hand: The weekend gearing up for Thanskgiving... & a Etsy Coupon!!!! 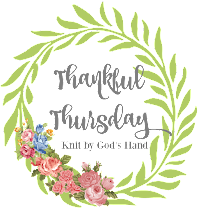 The weekend gearing up for Thanskgiving... & a Etsy Coupon!!!! Honestly, I'm shocked its Thanksgiving week. I should believe it because the stores are full of Christmas decorations & the Christmas crowds & I already started picking up a few things for Christmas gifts. Notice how all that "Christmas" screams Thanksgiving? The one good thing about Thanksgiving week? I AM OFF WORK THIS WEEK. I usually save up my vacation days for the end of the year because I'm one of those people that worry that anything can go wrong in life so I store up all my days in case I need time off for said worrying... so yeah, I just had a vacation 3 weeks ago... & now off again this week. I dont mind it at all. So its going to be a busy week as we gear up for the start of the holidays. All of this to say, I may not post here the next few days. Of course, I'll do a Thankful Thursday - because HELLO!!! Its Thanksgiving. Love to have you join me in the link up. I know most people aren't around blog world on Thanksgiving - as it should be - but if everyone is full & laying on the couch in a food coma, stop by & share with me what you're Thankful for. & Friday? I'll be up early doing some Black Friday shopping. & by up early, I mean staying in my jammies & blankets shopping online!! :) The hubs has to work. Throws a kink in our Black Friday shopping. BOO!!!! I'm going to be adding like 5 new products this week too - so keep an eye out for some great new items! ... & oh yeah, my weekend was great. Freezing since the temps bombed on us, but great. Productive getting my closet switched over & organized, had some girl time with my nieces, had a great time in church with my MSM girls. Even laughed a lot watching Trolls. A total thumbs up weekend. Hope you have a fabulous vacation this week and be sure to get in extra puppy snuggles! I actually started some Christmas shopping this weekend for the things I had to buy at the store. Now I think I can do the rest online! My weekend was BUSY! But this week I am off of school (but not work wahh) - so I get to have some me time in the evenings which will be full of exercise & getting my nails done. Sometimes pampering is just needed, right?! I'm heading to my Dads in Maryland for Thanksgiving.. I don't get to see him often so I'm really excited! I hope you have a fabulous holiday! And yeah - what was that weather? 70 on Friday, 20 on Saturday? Rude. I'm so not ready for Christmas shopping. I hate it and the stress over wanting to get the perfect gift. blah ... and I don't think I've even touched any yarn all year so there went my plan to make something for everyone this year. It's so hard to buy stuff for others when we're trying to purge/downsize our own junk -- I might cop out and give everyone gift certificates to use toward some fun activity with us - or schedule a family game night monthly throughout the year and "make memories". Definitely going to do a lot of online shopping this year. I hope you enjoy your break and Thanksgiving! Let the Holiday festivities begin!! Yay to having the week off, may you enjoy every second and cross some things off your list! I'm not one that gets upset when people want to decorate for Christmas the day after Halloween, but at the same token it's pretty crazy when you're trying to buy thanksgiving decor for a work luncheon and there's nothing to be found in the stores. I finally managed to round up a few pumpkins at the dollar tree, but I'm not kidding when I say Wal-mart had zero thanksgiving/fall stuff after Halloween. It's crazy lol. Ahh enjoy your time off, that is awesome!!! I wish I would have thought to schedule out a little of my vacation time before now because I am probably going to lose it. I just felt guilty knowing I would be on maternity leave for December and some of January and didn't bother. What can you do. Sounds like you have a busy week planned! I cant believe Thanksgiving is here!!! I am not going Black Friday shopping this year either since I am so close to my due date. I usually go with my mom every year and I hate it but it just isn't smart for me to be out in those crowds. I might do some shopping from my couch too :) Have a great week!!! Have a fantastic week off! I used to hoard vacation days too, especially back when I only had 2 weeks off. I am working through Wednesday but that's okay. I plan on a full veg Thursday-Sunday! And yes, I remember #thegoodolddays too. Most of my gifts are for my family back in Minnesota, so I do very little shopping in California and wait to buy their gifts until I get home. Lugging them on the plane is a pain and Legoes are Legoes. :) Have a fantastic Thanksgiving! I hope you enjoy your week. I'm taking the week off also. I've got some radiation burns that I'm trying to allow them some healing time. I think I need to start some of my Christmas online shopping too. I think I'm going to start with a new Christmas tree. We're wanting a smaller pre-lit tree. One that I don't have to get on a ladder or stand on a chair to decorate. Enjoy your week. I'll be by to check out your Etsy stuff sometime this week, I hope. Just watch my blog for answers to all of those questions! LOL You had a busy weekend! Nice to have the entire week off this week. Good for you! hell yes to vacation! relax and enjoy! i'm almost finished my shopping; about 2 gifts left. just wait to see if 2 things will be cheaper on black friday and then i'll be buying them! Enjoy the week off! I only have Thanksgiving off this year but that's ok. I'm just grateful to be employed. I was suppose to start my Christmas shopping this weekend but didn't. haha Well, I tried but I couldn't decide what to get. Have a wonderful week. Having a whole week off sounds amazing! Enjoy it friend! I love how Nordstrom still won't put up their Christmas decorations until after Thanksgiving. I think they're the only place that does that! Enjoy your week off, take some time for yourself! Yay! Enjoy your time off! :) I'm going to try to put a big dent in my Christmas list this week too, though Cyber Monday is my favorite for gifts! I also remember when Christmas was just barely spoken of before Thanksgiving, and mainly because everyone wanted to see what the Black Friday ads would have...no sneak peeks back then! And no chance to see until the paper was delivered on Thanksgiving because no store in their right mind was open on Thanksgiving. My weekend was quiet, cold, and snowy. We stayed inside by the fire. I have actually started my Christmas shopping. I am determined to be done well before the last minute. Crucial this year because I work until 3:00 on the 23rd, my work Christmas party is at 5:30 that night, and my family is coming here for our Christmas on the 24th! I don't even get one day after school is out to get my act together. As for Thanksgiving, I'm not cooking that one. We're going up on the mountain to my stepdad's place. Mom is cooking. I'm planning to spend Wednesday night in my jammies, with a glass or two of wine, and watching "Home for the Holidays" and "The House Without a Christmas Tree." Funny, I said the same thing this past weekend: How is almost Thanksgiving? Where did the fall go? For that matter, where did SUMMER go, lol? Enjoy your week off! I have this week off too! I'm in charge of the Busers and Servers at a Thanksgiving Outreach our church puts on every year. We serve a total of 1400 people on Thanksgiving Day, then my family will have our Thanksgiving on Saturday. It's absolutely exhausting but so thrilling to be a part of something like this! I hope you have a very blessed Thanksgiving! Enjoy your week off! I'd love to have a little staycation because there's always so much to do at home. Have a wonderful Thanksgiving. How did I not know you have an etsy shop??? Giirl, you are Bu-SY! Wow you have a lot going on during your time off, but mostly fun stuff. Other than the insurance stuff. That is always awful. Blah. But enjoy your week off. I am a bit jealous, but I have the rest of the week off starting tomorrow! And I definitely need to check out your Etsy shop! Yay for a week off work! You deserve it, you work so hard between your job and your photography company! I'm excited for the weekend too, as soon as I get done with my next class in a few hours I am off to spend time with the fam and I can't wait!